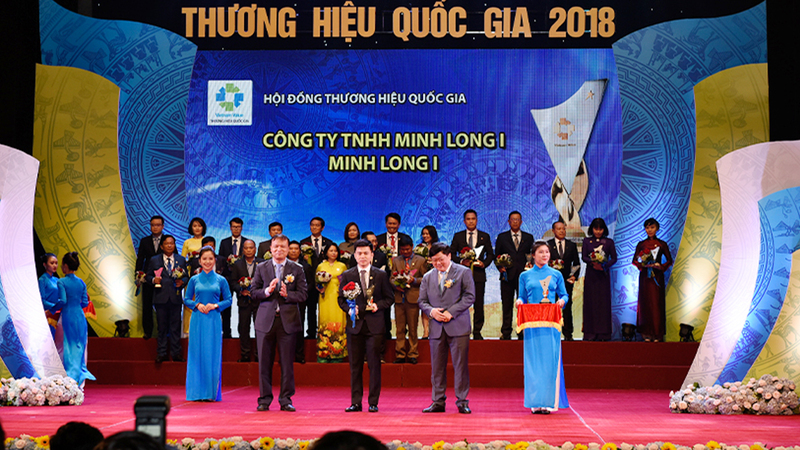 Firstly introduced to the market after almost 12 years of tireless research, Gold Inlaid Porcelain Coffee Filter Set is a product of Minh Long’s combined effort in preserving Vietnamese original coffee flavour, promoting the Vietnamese style of brewing coffee and setting standards for coffee lovers at their very first sight. For coffee aficionados, this magic caramel-colored drink only exposes its original flavour and has the power of keeping you awake once brewed in a right coffee filter set. 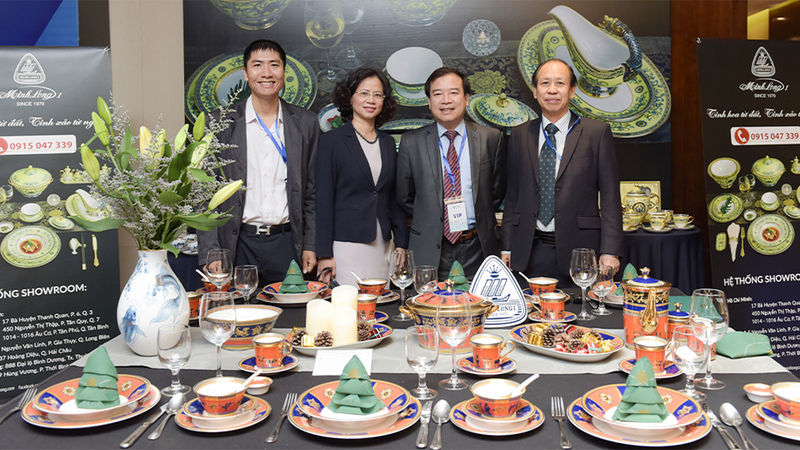 Knowing this, the Vietnamese porcelain producer has determined in using a familiar material, clay, undergoing molding and decorating processes to turn into the gold inlaid porcelain coffee filter set which meets both technological and aesthetic standards. The meticulousness and precision in each production stage do not only help with retaining the drink’s heat and flavour but also assert a finer style in serving and making coffee. The porcelain coffee filter set may not have a fancy look but rather pursuits a retro, elegant style which stands out from other coffee brewing kits in the market. From the cap, filter insert, filter chamber, cup spanner to the cup itself all is decorated harmoniously in warm, solemn brownish caramel. 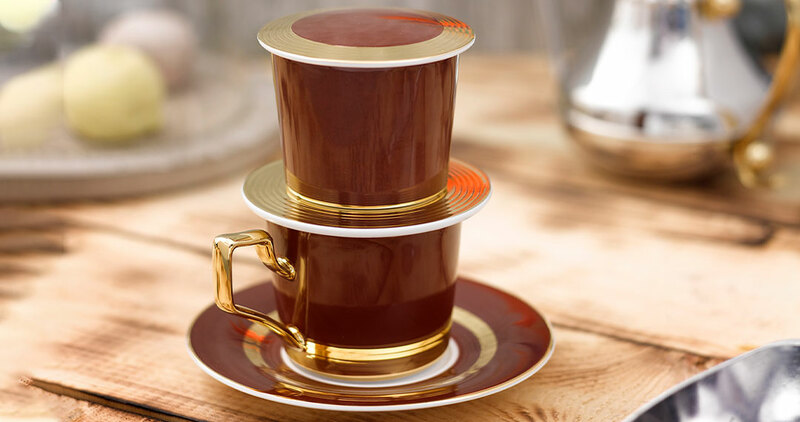 What’s special about the gold inlaid coffee set? The brewing kit does not only help preserve the bold flavour of Vietnamese coffee and ensure health safety, but also comes with an opulent design created with utmost exactitude which allows a steady flow of fluid without foam or overflowing. 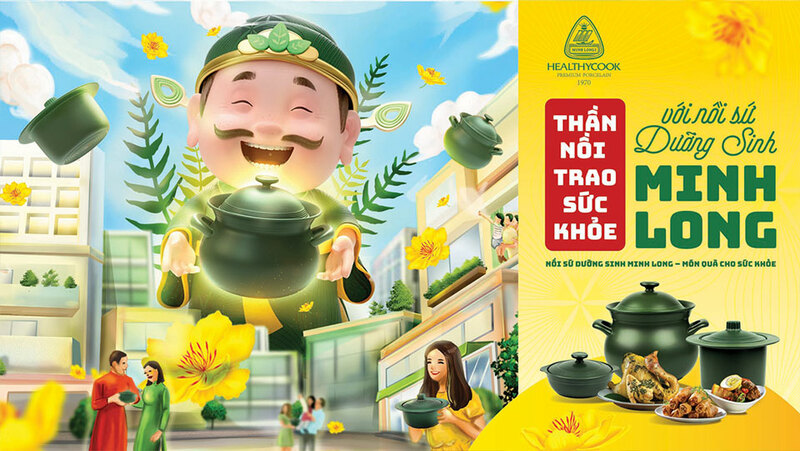 More importantly, the set is made from high-quality porcelain which is baked in high temperature, repels both acid and alkaline substances and retains the quality, flavour and heat of the drink better. Besides innovative features, the set also wins the heart of coffee lovers for its classic, fashionable design. What’s in a gold inlaid porcelain coffee set? Step 1: Rinse the entire cup and filter set with boiling water prior to brewing, which helps retain the heat of coffee longer. Step 2: Add ground coffee beans into the filter chamber. Our recommended amount is 15g. Step 3: Slowly pour 20ml hot water on all over the coffee, then wait one minute for it to soak and rise. Step 4: Place the filter insert on the coffee, gently press to spread the powder evenly. Step 5: Add 70ml hot water, put the cap on and wait until the coffee drips down. Step 6: Remove the cap, turn it upside down onto the table and place the whole filter set on. 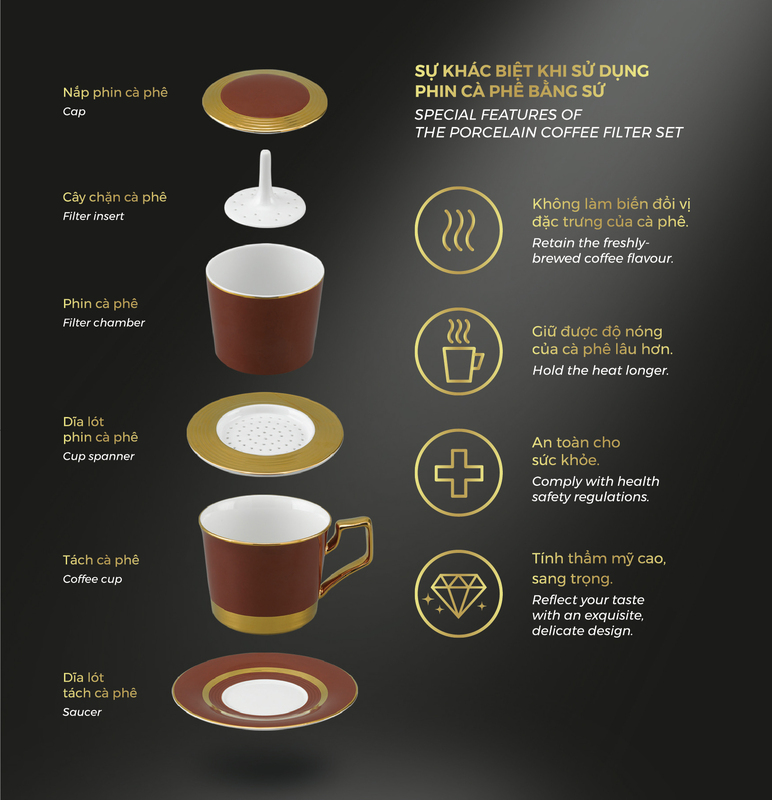 Using the Minh Long gold inlaid coffee filter set, we are rewarding ourselves with simple enjoyment while watching the caramel-colored liquid peacefully drips down, before slowly adding white sugar and condensed milk to taste. When the last drop falls down, we are all mesmerized by the passionate aroma that was so long ago not found when using other brewing methods.